Just 1 Random Guy: How to beat a headache. The hammer* provides a very thorough and high quality beating. *A regular hammer, rather than the sledge or donkey kong variety, will also work, though the results may not be as significant. 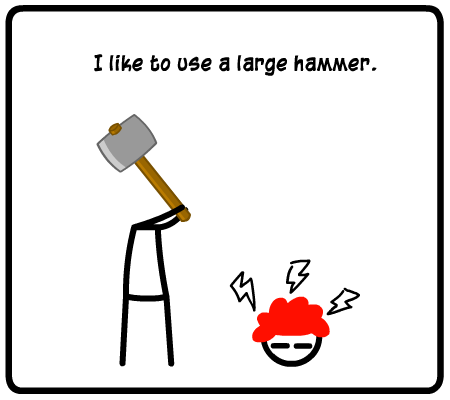 In my opinion the large hammer gives a classical feeling that has great appeal. ._. I'd lend you my hammer, but... it's only a +5 against girls. It would only do normal damage on your headache.